• Garlic - 4 numbers. • Pepper corns - 1-1/2 tablespoon. • Water of daal - 1 cup. • Red chilly - 2 numbers. • Coriander chopped - 1/2 bunch. • Coconut (grated) - 1 tablespoon. Heat oil in a pan add mustard seeds, red chilly, green chilly (optional), curry leaves, turmeric powder, asafoetida, tamarind juice, salt, the water of daal, sugar, and boil it on a slow flame. Add to the rasam and add grated coconut (optional) coriander chopped, switch off the flame. Pepper Rasam is very popular in South India. It tastes great with hot steamed rice and a teaspoon of ghee. This is also best option to have with hot rice to relieve from cold. Pepper Rasam is commonly known as Milagu rasam which is one of the most liked rasam varieties prepared... Read More..
Pepper Rasam is commonly known as Milagu rasam which is one of the most liked rasam varieties prepared in most South Indian homes especially Tamil Nadu and Karnataka. This is a very simple and delicious dish made with Dal water spiced with freshly crushed pepper corns that offers an awesome zest to the pepper water, garnished with freshly chopped coriander leaves. Rasam is a traditional dish and is more like a soup. It is prepared from the pulp of tamarind or tomatoes. 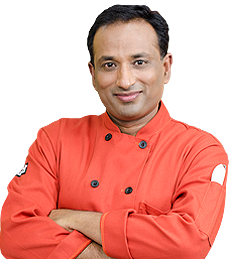 You can prepare a wide variety of rasam that includes tomato rasam, lemon rasam, tamarind rasam, pineapple rasam, mango rasam, pepper rasam etc. Often the rasam is added with lentil stock which adds a nice nutty flavor and makes it nutritious to eat. It is often said that rasam is a byproduct that evoked from Sambar and is prepared on a daily basis in every South Indian house. Rasam is also popularly called as charu in Andhra Pradesh and Saaru in Karnataka. The Pepper Rasam having a very thin consistency like soup has got good digestive values and good remedy to clear flatulence. It is a very simple and easy to prepare dish. It is also otherwise known as “Indian clarified herbal consommé”. Every South Indian home relish and enjoy the dish. Rasam is a main part of the meal and a perfect rasam is prepared with the main flavors which include the garlic, fresh pepper corns, curry leaves and hing that enhances the taste of the rasam. The rasam is never said no whether lunch or dinner and also has enormous health benefits in the dish. Pepper Rasam or Pepper Water, a popular dish among Anglo-Indians is considered the best homemade remedy soup to get relief from a severe cold or running nose problem it has a long rich history in Ayurvedic medicine where it is valued for its natural healing properties. It also has anti-cancer, anti-bacterial, anti-inflammatory and anti-microbial properties that help heal various ailments from a common cold to cancer. Here below do watch the making of this awesome Pepper Rasam and try preparing to please your family with nutritious food. Heat oil in a pan and when it gets hot, add mustard seeds. When they crackle, add red chillies, green chillies (optional), curry leaves, turmeric, hing and mix well. Add salt, tamarind juice, dal water, sugar and allow boiling over slow flame. Heat a pan, add pepper corns, cumin seeds. Slightly roast and then add chopped garlic, coriander leaves. Put them all into the mortar pestle and crush coarsely. Add this mixture in the rasam. Add grated coconut (optional), freshly chopped coriander leaves and switch off the flame. Serve hot with rice and papad on side. Normally in most South Indian wedding ceremonies, the rasam is served towards the end after serving the sambar as the tamarind juice in the rasam has good nutritional value and health benefits. The tamarind promotes a healthy heart by lowering cholesterol, good source of antioxidants that fight against cancer, helps to digest food, used to treat bile disorders. Black pepper also helps prevent the formation of intestinal gas, promotes urination, and promotes sweating. Thanks. My grandma who lived in Trichi used to make this. Vahchef... please use the video description field to write some useful information that describes and differentiates all of your videos. Currently all of your descriptions are identical and, I'm sorry to say, useless. Super speciality milagu rasam, my wife prepares now as per your guidance.Thank you,?